Captain Rizk is your guide to this fresh online casino which is all about innovative and fair gaming. 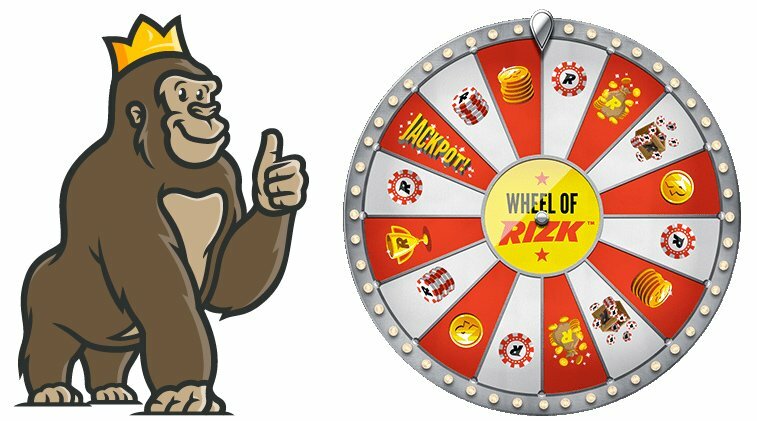 One of the main features of the site is the Wheel of Rizk which offers wagering free bonuses just for spinning the wheel. This is a feature which has been copied elsewhere, but Rizk were the innovators of this type of bonus offer to reward regular players. 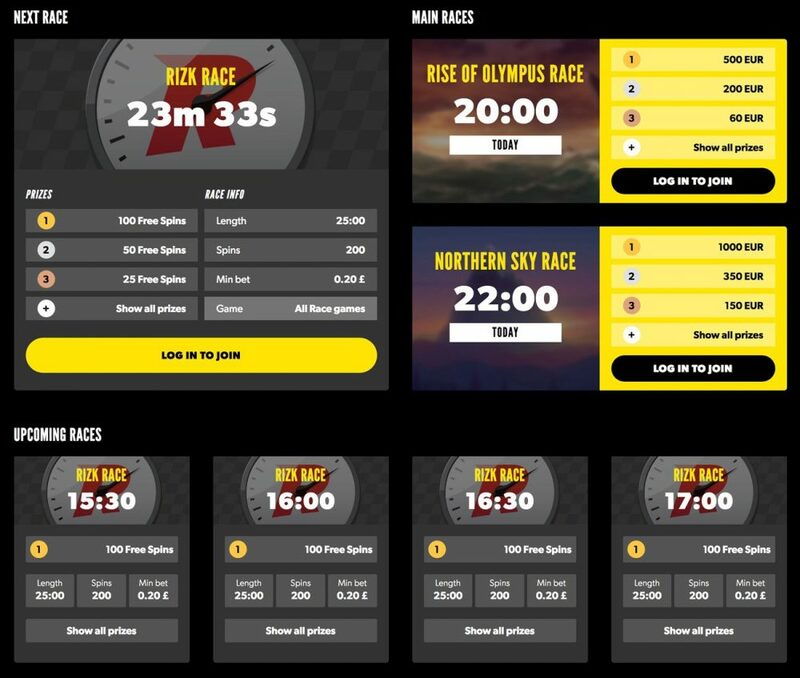 There are also Rizk Races which allow players to enter slot gaming tournaments to win prizes. The site looks great and features some pretty awesome games as well, not to mention a very fair bonus offer for new members. Rizk Casino offers a 100% matching bonus for new joiners up to a maximum of £100. What’s more, they will throw in 50 free spins on the ‘Second Strike’ slot game. This is one of the most straight-forward bonus offers out there, with no tricky terms and conditions to worry about. Just wager the bonus amount 40 times and you will be able to withdraw it, and you can easily see how much money is in the Bonus section and how much in the withdrawable Balance of your account. 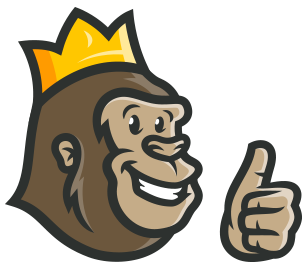 The Casino Gorilla appreciates it when a casino keeps it nice and simple and that is what you have here from Rizk. The Rizk welcome package comes with 50 free spins once you make your qualifying deposit. These free spins can be used on the popular Second Strike game and are released in batches of 10 for 5 days starting the day after your initial deposit. These free spins are only available for 24 hours so don’t forget to log in every day to take full advantage of the offer. There is no limit on how much you can win from your free spins, but you will have to wager the amount of your winnings 40 times in order to be able to withdraw them. Some casinos require you to enter a bonus code in order to claim your welcome bonus, but with Rizk Casino it is simply added immediately. Just enter the amount you want to deposit and as long as it is more than £10 you will receive your matching deposit. The first batch of free spins will be added the next day from 11AM GMT. If a bonus code is ever required then you should enter it in the space provided on the deposit page. Fans of live casino gaming will certainly be pleased with what is on offer from Rizk Casino. NetEnt and Evolution Gaming are two of the biggest and best live dealer game providers and they offer some of their top titles here. Blackjack and roulette are particularly well served and although some casinos don’t pay much attention to baccarat there are many varieties of this traditional card game to choose from here. Besides these you will find three card poker, Dream Catcher, Caribbean Stud, Football Studio and Texas Hold ‘Em. All of the games are hosted by professional and experienced croupiers from custom-built studios. Rizk Casino is the superhero-themed site that brings all the fun and excitement of online casino gaming to the forefront. The welcome bonus doubles your deposit by up to £100 and you will get 50 free spins thrown in on top as well. 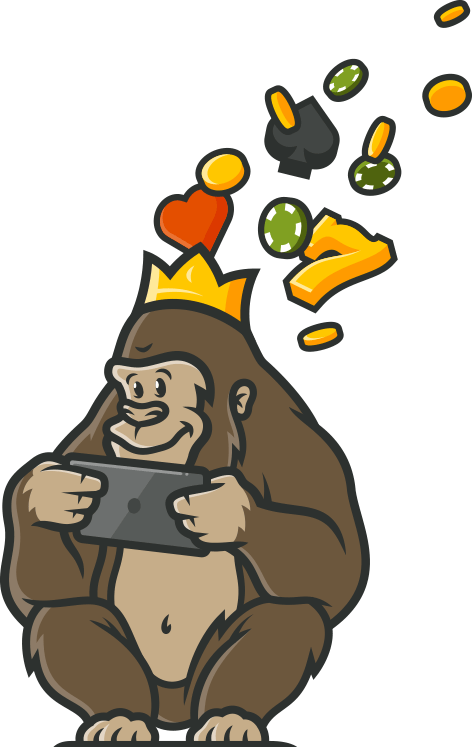 There are different promotions running all the time, and that’s before you even mention the Casino Gorilla’s perfect 1-2 combination of goodies. First there’s the Wheel of Rizk which allows players to spin and win great prizes, and plus you’ve got fantastic slot game tournaments running all day every day. One of the USPs of this casino is the Wheel of Rizk which brings an element of gaming into the process of giving rewards to loyal customers. As the promotional blurb on the site says: ‘Kind of like the Wheel of Fortune, but about a million times cooler’. By playing on the site you fill up a power meter, and when this is full you get a free spin of the wheel. There are also jackpot rewards from level 10 onwards, and when you level up the prizes on offer are even better. Rizk Races are the exciting slot gaming tournaments that add a little spice to spinning those reels. These races take place every thirty minutes around the clock, 7 days a week, so you never have too long to wait until your next chance to win. The top prize on offer for each of the regular races is 100 free spins, although twice a day there are some real money-spinning competitions. These two main Rizk Races start at 6pm and 8pm each evening, with prizes that can top £1,000 up for grabs. Best of all, every race is free to enter. 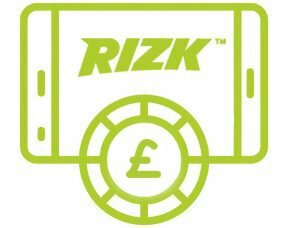 You can download an app to get started with Rizk Casino on your mobile, with the Android version available on the website. The Apple version of the app is available for download from the App store. Of course you don’t need to download an app to enjoy mobile gaming with Rizk if you don’t want to. You can simply go ahead and access the casino directly from your smartphone or tablet and start playing from the large selection of excellent games. You won’t lose out on quality when you play on your mobile device and have the freedom to play while you are on the move. There are plenty of payment methods available at Rizk to enable deposits and withdrawals. These include Visa, Mastercard, Skrill, Neteller, Euteller, Sofort, Zimpler and PayPal. Most people tend to choose the ease of debit/credit cards but you can select your preferred option depending on which country you reside. Note that Mastercard do not normally allow withdrawals to those cards from online casinos except for residents of the UK and Ireland. There is a withdrawal limit of £5,000 per transaction. A licence from the Malta Gaming Authority requires Rizk Casino to maintain the highest standards of security. All transactions are protected using secure encrypted software. The games on this site come from highly-respected developers which means that they will play out fairly. This Malta-based site can be contacted around the clock with any questions you may have. Customer support is available on live chat, email and also by phone if required. There is also an FAQ section on the site where you will find answers to some of the more commonly asked questions about the casino. Argentina, Australia, Armenia, Azerbaijan, Belgium, Brazil, Bulgaria, China, Cyprus, Czech Republic, Denmark, Egypt, Estonia, Ethiopia, France, Germany, Greece, Hungary, India, Indonesia, Iran (Islamic Republic of), Iraq, Ireland, Israel, Italy, Kazakhstan, Pakistan, Philippines, Poland, Portugal, Romania, Rwanda, Singapore, Slovakia, Slovenia, South Africa, Spain, Turkey, Uruguay. Rizk Casino has been at the forefront of recent developments in online casinos, which look less like casinos and more like entertainment portals. The selection of games here is fantastic, including a tremendous live dealer casino. The bonus is simple and fair and gives you a real chance to make a profit from it. Plus you have tournament action and the Wheel of Rizk to keep things entertaining. Great game variety, excellent in mobile - that's all I need. My favourite casino at the moment. I agree! Thank you for the comment. Being a new player in the scene, I was a bit skeptical at first. But I decided to bite the bullet and make an account. I was quite surprised how easy the sign-up process is and with the number of quality slots the casino has to offer in spite of being a new casino. The Secret Romance slot has to be my favorite game here! It is light-hearted and also fun to play. Great for a slow evening when you just want to relax. Withdrawals took a long tome to process. Customer support team was very helpful and assisted me with taking money out of my account. Overall, nice casino if you are a casual player.